The Hanse Explorer departed Trondheim yesterday evening accompanied by her ‘little sister’ Laika. 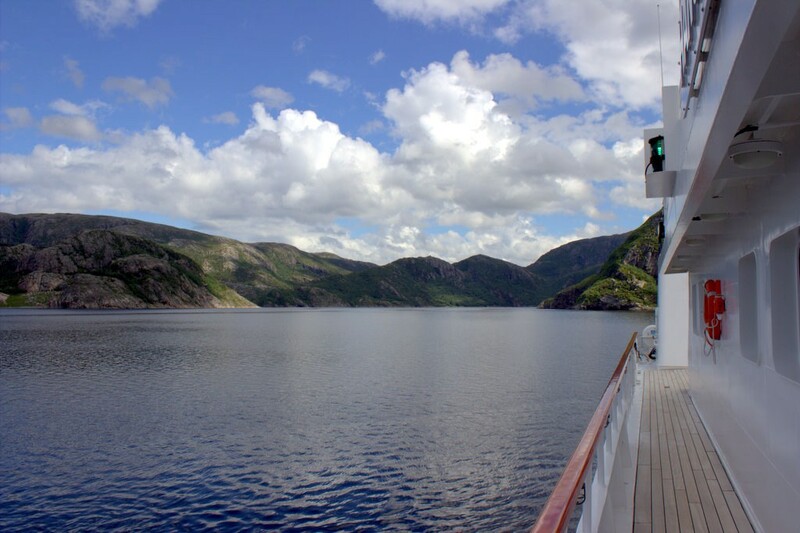 So we began our journey to the north exploring the Norwegian coast between Trondheim and Tromso. 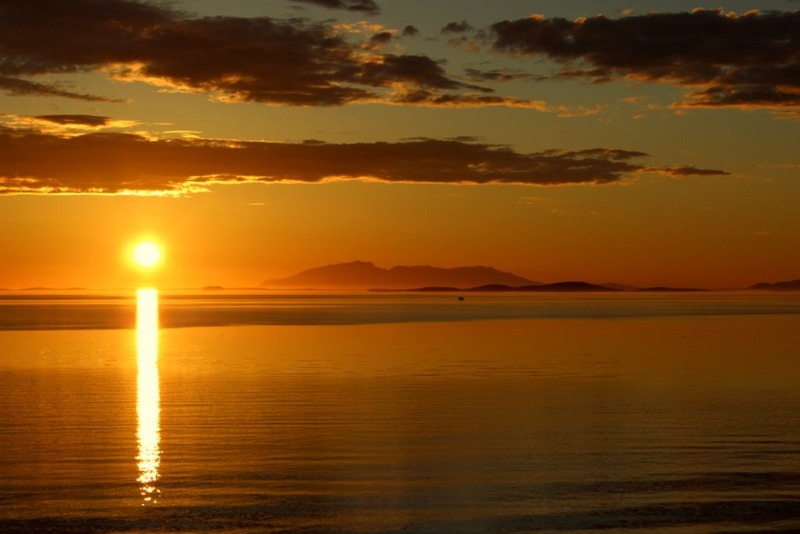 The voyage will take us above the Arctic Circle, deep into beautiful fjords and to the wild Lofoten Islands. Our first destination was a small unassuming fjord a few hours north of Trondheim. Here we found two attractions: a sheltered overnight anchorage and a good landing for a walk in the woods. A grey morning cleared and the sun put in an appearance. The hike followed the course of a fast running stream with cascading waterfalls. The woodland vegetation was at the height of summer, green and well watered. Birdsong was plentiful, including a few cuckoos, and the sound of bells revealed the presence of the local flock of sheep. On our return to the ship we found another attraction to this fjord: a good location for fishing. The crew had been busy providing fresh local catch for the table. After lunch we continued our journey north, heading for a small bay where we will spend the night and celebrate Norwegian midsummer. We all enjoyed a slow start to the day after the midsummer night. Onshore with a small group of new Norwegian friends, we watched the sun set ever so slowly over a tranquil bay. Cigars and aquavit were produced, and conversation flowed around a camp fire. The rising tide slowly extinguished the fire under the blackened kettle on the boil for coffee, but no matter. In the small hours our happy band returned to the Hanse Explorer in the sunset twilight. Soon, the sunset will be replaced by the 24 hours of the midnight sun as we continue our journey north and cross the Arctic Circle.